Find latest designs of party wear gowns online at best prices. Shop for large collection of party wear gown at Kalkifashion. A gown is a long flowy dress. Since the 16th century, be it for lunch or dinner, wedding or a party, gowns have been the preferred outfit. From back then, till today, gowns hold the same place in the heart of women. As an ensemble they have made addition to the junctures they can be worn to. 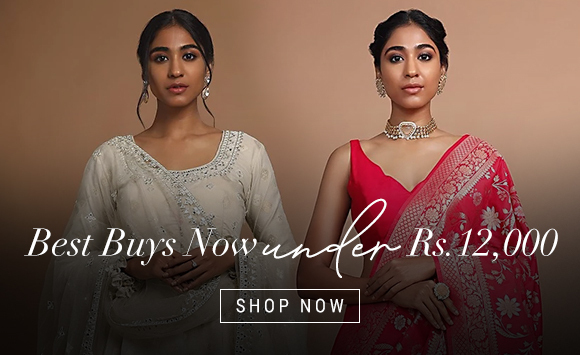 Do not stay behind in embracing this enduring piece of clothing, dive in this trending league with Kalki Fashion’s collection of Indian gowns online. Gowns are the outfits that scream royalty and magnificence out loud. This beauty garb comes in various styles and forms. Stitched and available in materials like velvet, crepe, silk or lace, you can pick one that ideally befits the event. Wedding matters call for silks and laces while evening and party wear apply for velvet, crepes and georgette. It is merely impossible to imagine the fashion world without the existence of a party wear gown in it. To leave a lasting mark in the minds of people, you can carry yourself in a classic black A-line party wear long ball gown with a shoulder that can be off, strappy, half or full sleeved depending on how you would like it to be. The thing about such party dresses is that the silhouette is so versatile, it fits the body in a snug manner yet uplifts the curves from the right places. Gowns are not limited to evening wear or for marriage affairs. You can always style a gown for a brunch look by toning down the jewelry and probably accessorizing it with a cute headband or tan gladiators for a breezy-beachy look. For the gowns to befall as alluring as they are, demand the right fit. A pertinent fit is only possible when you opt for made to measure accoutrements. For designer party wear evening gowns styles that are fresh, quirky and diverse, Kalki Fashion is the place to be. We have handpicked collection of gown, curated for every shape, taste and budget with a promise to deliver what you see and at the comfort of your doorstep. 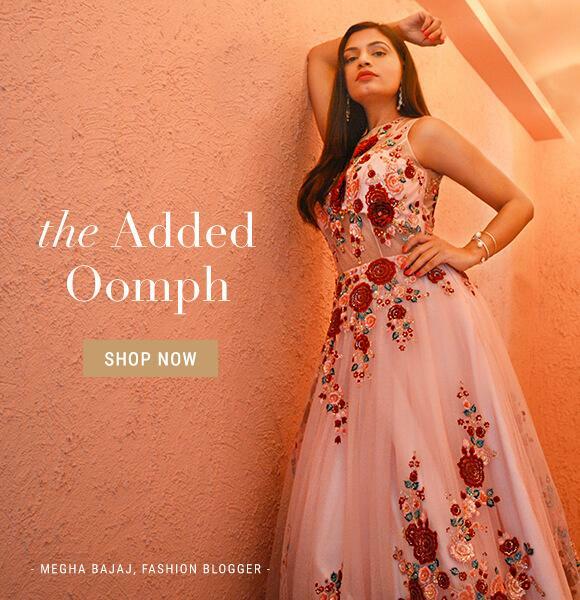 If shopping online from our range of newfangled gowns is a daunting idea, you can always hop by at our store to dig into our pool of awesome style gamut.